If you find yourself in appraisal with your insurance company to set the amount of damages for your claim, you might be interested in the ethical rules for insurance umpires. Have no financial interest in any involved property or in the outcome of the appraisal. Disclose any previous business relationship with any party, appraiser or attorney retained by a party. Promptly disclose any potential conflict of interest before accepting an assignment as an umpire, and notify the parties immediately if a conflict or potential conflict arises during the course of the appraisal proceedings. Not accept any assignment that he or she is not certain he or she is qualified to handle. Confirm any fee arrangement with the parties in writing. Confirm the issues to be addressed in the appraisal in writing with the parties. Agree to inspect the property if requested to do so by either appraiser. Maintain impartiality and neutrality throughout the appraisal process and uphold the integrity of the proceedings. Share all communications with all members of the appraisal panel throughout the appraisal proceedings. Be responsible to proceed diligently to conclude the appraisal proceedings. Retain only unbiased, qualified and impartial experts. Inquire of any retained expert as to any potential conflict of the expert. Evaluate completely all presented facts and/or claims. To the best of his or her ability, follow the law of the jurisdiction of the property. Withdraw from the proceedings if a conflict arises and the conflict is not waived in writing by all parties after notice to the parties of the conflict. Not withhold signature on any appraisal award until payment for services is received. Maintain records in good order during the appraisal process in accordance with any applicable rules or guidelines for preservation once the matter is concluded. Keep true and accurate records of time, expense and fee billings. Keep an updated list of all properties and parties for which he or she served as an umpire for a period of seven (7) years. Maintain and keep current all applicable professional licenses and continuing education requirements. Be truthful and accurate in all marketing or advertising activities. Appraisal is an informal dispute resolution process to establish the amount of damages for an insurance claim. 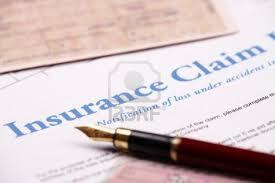 The availability of the appraisal process for your claim depends on the terms and conditions of your insurance policy. In short, you will need to review your insurance policy to determine if appraisal is available and how to invoke it for your claim. Normally, each party selects their own appraiser. Often the parties will select the adjusters they are working with. That means the insurance company will select its independent insurance adjuster and the homeowner will select its public adjuster. If the two appraisers are unable to come to an agreement as to the amount of damages, they will need to agree on a third party to serve as an umpire. In the unlikely event the appraisers cannot agree on an umpire, a petition will need to be filed in Court for a judge to select a neutral umpire. The umpire will, in the end, be the deciding voice as to the amount of damages for the claim. To reach this decision, the umpire can and often visits the property to see the damages, reviews repair estimates, and speaks with the property owners, experts, or repair personnel. The umpire’s appraisal award must be signed by at least one of the other appraisers for it to be final. Absent a showing of fraud or collusion, the final decision of the umpire will set the amount of loss. As you can see, the umpire is an important participant in the appraisal process. Given the importance, it is crucial to select the right umpire for your appraisal. Retired judges often serve as umpires for insurance appraisals. In any case, you will want to have an umpire that is familiar with the unique issues that your insurance claim presents as well as being a person of unquestioned ethics and honesty. The Windstorm Insurance Network has positioned itself as an organization whose mission is to promote education, awareness, and fairness for the insurance claim process. In doing so, WIND has established criteria and standards for its members along with a certification process for umpires and appraisers. Verifying that your umpire is WIND certified helps to ensure you will be treated fairly during the appraisal process. About the Author: Patrick Russell, Esq., has been a member of The Florida Bar since 1994 and is an experienced Florida insurance lawyer. Patrick started his insurance law practice more than twenty years ago when he represented homeowners and business owners for their Hurricane Andrew insurance claims. The purpose of this article is educational and not for the solicitation of legal services. The goal is to avoid the mistakes learned from the past, specifically those from previous windstorms. Knowledge is power. Information is free. Mistakes are costly. If you would like more tips on how to process your Florida insurance claim, Patrick can be reached at (305) 608-2977 or here. Here are some recent articles of interest that I found this week for the insurance industry, Florida insurance law, Florida insurance claims, and Florida insurance trends. Enjoy! Responding to pleas from highway troopers and the state’s sheriffs, Florida Gov. Rick Scott said Tuesday he will veto a bill that could increase the speed limit on Florida highways from 70 to 75 mph. Scott said that he has decided to “stand with law enforcement” who urged him to veto the legislation that narrowly passed the Florida Legislature late last month. Earlier this month, a Florida Highway Patrol trooper who was mourning a colleague killed after being struck by a vehicle told Scott that raising the speed limit “wasn’t a bright idea.” Trooper Tod G. Cloud also told Scott the job he feared the most was working an accident on Interstate 75 because people “do not drive with common sense.” Read more here. In Solano v. State Farm Florida Insurance Company, 4D12-1198 (Fla. 4DCA 2014), a Florida homeowner insurance claim case, the Florida Fourth District Court of Appeal held that it was improper to award summary judgment to an insurance company when the homeowner cooperated to some extent with the requests for an examination under oath. Here, the insurance company demanded an examination under oath for both owners of the home plus their Florida public adjuster. The husband attended the examination under oath but the Florida public adjuster refused claiming that he could not be compelled to do so. The homeowner and public adjuster provided documentation to support the claim to the insurance company and cooperated with inspection requests. Read more here. Florida is heading into hurricane season with good news. The state-created fund that backs up private insurers in Florida appears to be in very good financial shape again this year. New projections show that the Florida Hurricane Catastrophe Fund should have nearly $13 billion available for the Atlantic hurricane season that starts on June 1. On Thursday, an advisory panel for the fund will hear Wall Street firm estimates on how much money the fund would have to borrow if Florida was hit with a devastating storm. Those estimates show that the fund should be able borrow more than enough for this year. Read more here. Scientists at Coastal Carolina University expect no hurricane to make landfall on the East Coast or in the Gulf of Mexico this year. The forecast Tuesday anticipates a “below to near normal” hurricane season in 2014. Hurricane season begins June 1 and ends Nov. 30. The school said the most likely forecast is for no landfall in the Southeast. The second most likely scenario would be for one hurricane to hit the East Coast and another to strike in the Gulf of Mexico. Read more here. Thank you for reading (and sharing). Stay tuned for next week’s weekly review for Florida Insurance Law!